What innovative solution do you suggest to avoid these critical situations in the future ? First step is to acknowledge the fact the situation is indeed becoming critical. This is a social innovation for France, where electricity was commonly regarded as an abundant resource. 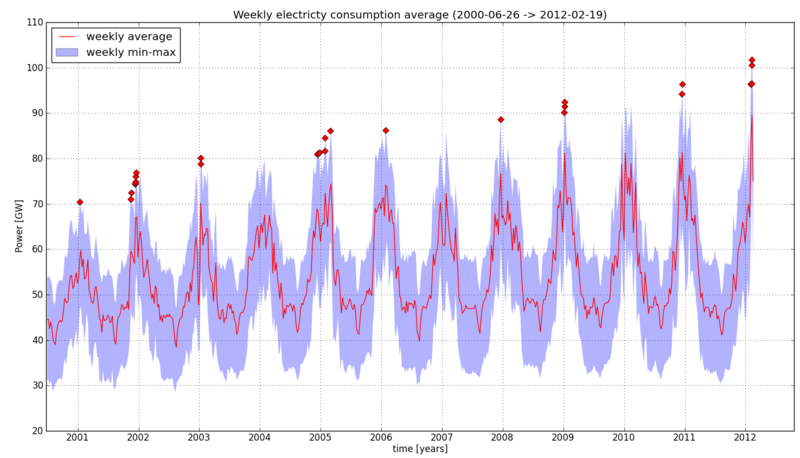 Clearly, electric heating is the main cause of these consumption peaks during winter, and therefore a good step forward is stop promoting this kind of heating (as it was extensively done in the past). This would be a important country-wide social evolution, not a technological one !